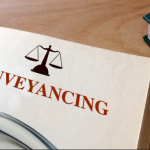 Conveyancing is a branch of law in which it helps to prepare documents for the conveyance of property. It means to transfer legal property from one person to another. Conveyancing Gold Coast process is the same as anywhere in Queensland.Continue reading… Ever Heard about Conveyancing Gold Coast?